product of the Reformation, and they were interested in what could be discovered of the past by looking beyond the written records. They studied anything that was old – stones, metal, pottery, coins – attracting in the process much derision from contemporaries who thought it an “unnaturall disease” to be so “enamour’d of old age and wrinkles”. Yet the antiquaries were the first archaeologists. They were also the first oral historians, costume historians, art historians and folklorists. They opened up vast intellectual horizons and if, as later archaeologists have sometimes been quick to point out, they made mistakes, they were not alone in that and, working in an age before academic specialisation, before science and the arts had parted company, they were also able to make daring and useful connections. 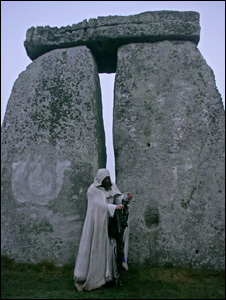 It was James I, who prided himself on being up to date with intellectual fashion, who initiated the archaeological investigation of Stonehenge, although as befits the man known as “the wisest fool in Christendom” his efforts had mixed results. Staying nearby at Wilton House in 1620, he expressed an interest in the stones. Since the Reformation the land on which Stonehenge stood had passed into private hands and it was to remain private property until the 20th century. James’s intimate friend the Duke of Buckingham, eager to please, immediately tried to buy it for the King. The owner, however, refused to sell, so Buckingham had to be content with digging an enormous hole in the middle of it, from which he removed various objects now lost and, as John Aubrey later thought, caused one of the stones (stone 56) to tilt over “by being underdigged”. After this unpromising start the King approached the Royal Surveyor, Inigo Jones, and asked him to produce a report. Jones’s Stone-Heng Restored appeared posthumously in 1655. 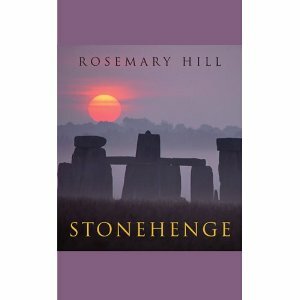 It was the first book entirely devoted to the subject and it argued that Stonehenge was Roman. The reaction that this theory provoked kick-started the antiquarian investigation of Stonehenge. If there was anything the typical antiquary liked more than proving himself right, it was proving somebody else wrong, and Jones’s book prompted two people, Walter Charleton and his friend John Aubrey, to throw their energies into discrediting it. The archaeologist Jacquetta Hawkes famously remarked that every age “has the Stonehenge it deserves – or desires” and the Stonehenge of the Stuart antiquaries was born of the age that saw the foundation of the Royal Society, the wider exploration of the Americas and a new Baconian spirit of critical enquiry, in which nature and mathematics were the ultimate authorities. This critical, analytical cast of mind brought about a change in attitudes to the past and to the study of it. Until then history had been narrated, chiefly, as the story of a Golden Age, with everything since a long-protracted fall. “Till about the yeare 1649,” as Aubrey noted, “’twas held a strange presumption for a man to attempt an innovation in learning; and not to be good manners to be more knowing than his neighbours and forefathers.” Enquiry now was all the rage, but it was tinged also with melancholy and foreboding. The generation of antiquaries that had lived through the Civil Wars had seen towns and families divided. They had watched Puritans smash stained glass and knock the heads off the statues in churches; they feared for the past and for the future. Charleton, who was the first to respond to Inigo Jones, had been particularly close to these events as physician to Charles I and later to his son in exile. His book, Chorea Gigantum Or, The Most Famous Antiquity of Great Britain, Vulgarly called Stone-heng, was published in 1663. When Charleton looked at the monument he saw the stones “sleeping in deep forgetfulness, and well-nigh disanimated by the Lethargy of Time”. But he also saw the spot where Charles II, now restored as king, had paused on his flight after the Battle of Worcester at one of the most desperate moments of his life. Both images haunt Charleton’s treatise and inform its surprising conclusion that the circle was the work of the Danes. But, He Restor’d, ’tis now become a Throne. Charleton is usually written off as a sycophant as well as a poor scholar. Yet in so far as his book is a political statement, and there are few antiquarian texts of the 17th century which are not, he is no simple-minded royalist. Chorea Gigantum is not an endorsement of the Divine Right of Kings but of popular leaders, governing “by the general suffrage of the assembly”. It dwells, to the point of tactlessness in the circumstances, on the fact that the Danes were republicans. Charleton’s Stonehenge is an emblematic reminder to the restored monarch that he reigns only with the people’s consent. The treatise concludes somewhat smugly that “this Opinion of mine, if it be erroneous, is yet highly plausible; having this advantage over the others… that it is not so easily to be refuted”. Charleton was wrong about that as well and he was not to rest on his laurels for long. About the author Rosemary Hill is a Fellow of the Society of Antiquaries, a trustee of the Victorian Society and a Brother of the Artworkers’ Guild. Her biography of AWN Pugin, ‘God’s Architect’, was published in 2007. She was born in London, where she lives with her husband, the poet Christopher Logue.